When The Mission Gets Cancelled. For those who don’t know, Ethiopia has been in turmoil for a number of months now. The very simple (perhaps simplistic) version of a complicated situation is that Ethiopia is ruled in large part by the Amhara. 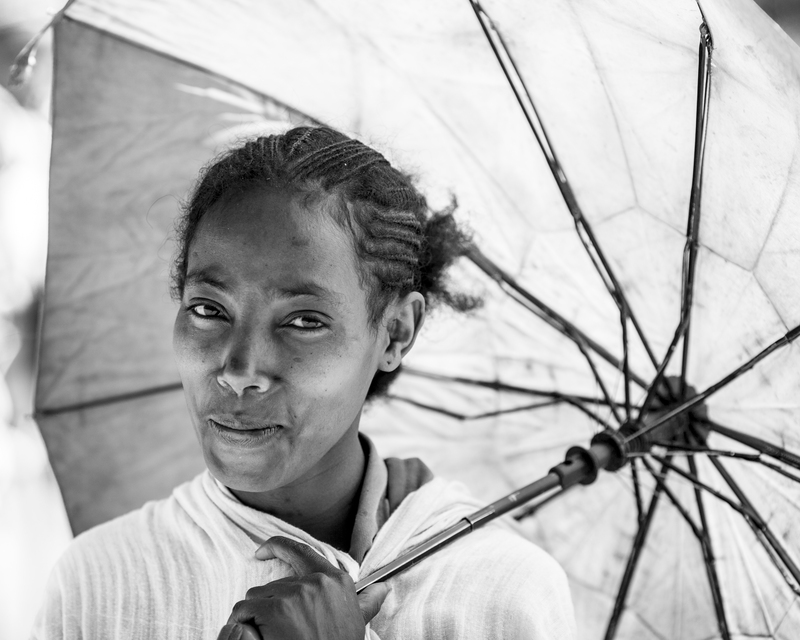 The Oromo people are the largest ethnic group within Ethiopia. 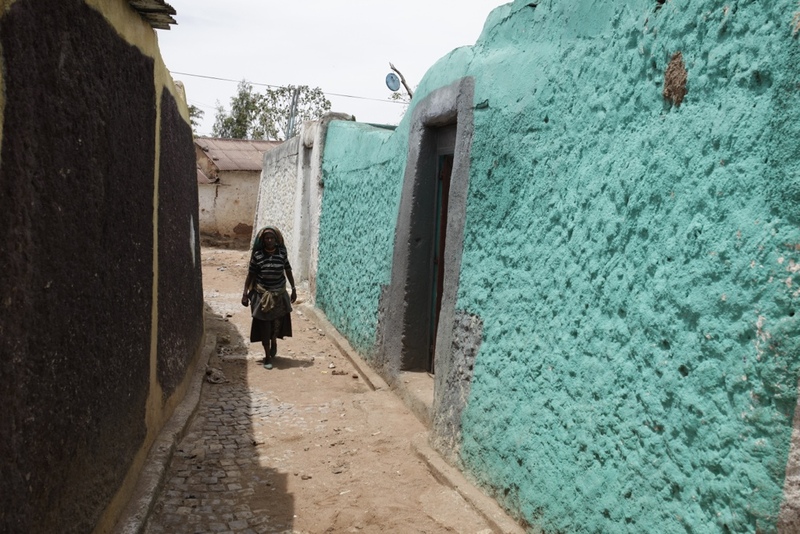 Disagreements between the Amhara and the Oromo have recently come to a head over a plan to expand the capital of Ethiopia, Addis Ababa, which would displace Oromo farmers. Tensions have grown, and now there are protests happening thoughout the country, with many turning violent. Protestors have begun attacking foreign interests because this will directly affect the bottom line of the government. With this in mind, at the last minute our trip was cancelled. Now, I’ve had trips delayed for a couple weeks before, but this puts it off at least until the next scheduled trip in March, if things improve. I was disappointed by this, but also relieved at the same time. I’ve been watching the situation get worse for a number of weeks, and was wondering how effective I’d be able to work even if I did go. I know personally that a lot of other people are disappointed as well. But after getting past the disappointment, I had to go back to thinking about why. Why would timing be such for this to happen this way? What do we do now? For the first question I would simply say that it’s better to find out now than when you’re already there. Also, I don’t mind there being a certain level of danger when traveling, but there’s nothing virtuous about going into a dangerous situation when you can avoid it by simply waiting. It’s easy when something like this happens to simply throw up your hands and say, “well that’s it then!” Why Paul was prevented from entering Asia we don’t know, but when prevented he didn’t just give up. He waited for God to tell him what to do and redirected. Paul eventually did make it to Asia, but not then. It would be easy to just sit around being discouraged, but that is not what God wants us to do. This is our opportunity to seek God and ask what it is He wants us to do now. Doing nothing but being discouraged is not it. 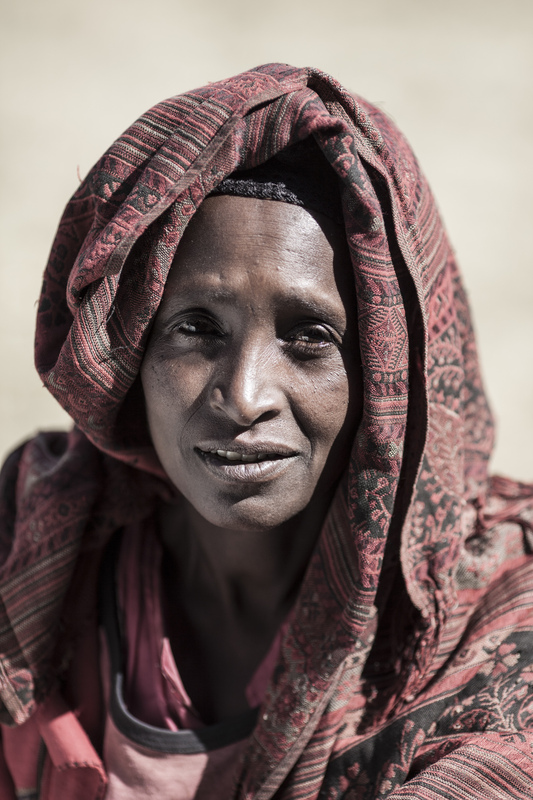 If we are the kind of people who held a ticket to Ethiopia because of our faith, then we are people of action. Not being in motion is not in our character. So take a day if you must, but then get to action, because it’s likely there is something else God wants you to do, if you just ask Him to direct you. Do I mean that our government censors the information we receive about other nations and cultures? No. They don’t have to, because we do it ourselves. The average American has no idea what the rest of the world is like. We don’t watch international news, learn other languages, or travel. When we do travel, we go to resorts where we won’t have to mingle with the indigenous populations. We are not generally taught geography after the seventh grade. According to National Geographic, half of American 18-24 year olds can’t find New York on a map, which is in their own country. One third can’t tell you which direction northwest is on a map. Three quarters think that English is the most commonly spoken native language in the world. Only half could find India on a map. So why all the self-censorship? I believe it’s the repeated mantra that America is the greatest country in the world. Is it? Maybe it is, and maybe it isn’t. It depends on what standards you are basing your assumptions. When I was in my twenties, I mountain biked with one or two friends quite frequently. Compared to them, I was quite fast, so I decided to start racing. I entered my first race in the intermediate category, thinking I was too good for the beginners. Well, I came in dead last by a long margin. It wasn’t until I actually raced against people who were serious about it that I found out where the bar had been set. Only someone with a lot of arrogance or a self-proclaimed idiot declares themselves the best at something when they don’t even know what standard that statement is based on. I was probably a bit of both, and I had to be both educated and humbled by those that actually were the greatest. It was only at that point that I really started to improve and start winning some races. Thinking we’re the greatest as a nation is potentially more damaging to ourselves and the world. On one hand, without knowing anything about the world around us, we fail to see the needs of the world around us. On the other side of things, we also don’t see where other cultures or nations do things better than we do, and believe me, there are many areas where we are not first. By having this myopic, insular view we have lured ourselves into complacency for both the needs of the poor and our own improvement as a people. We have both no compassion for the world and no willingness to strive for what is better. We have willingly relegated ourselves to live in a cultural wasteland. We think that the rest of the world isn’t worth knowing about because we are better than them in every way, and we’re totally wrong. People who think they have nothing to learn from anyone else are people who have willingly decided that they are going to stagnate. And stagnation is no recipe for greatness. The Rope Began to Hang the Butcher. When I was a small child, I remember my grandfather, who was born in 1910, telling me stories he’s heard over the course of his life. They were always riveting for me to listen to, because they were like nothing I heard elsewhere. I always assumed as a child that they were stories he’d made up, until as an adult I was able to find them on the internet. Many times they were old folk tales going back centuries. One of these was the story of the old woman and her little pig. This is how it goes. ONCE there was an old woman found a sixpence while she was sweeping, and she took it to the village and bought a little pig with it. She got part way home, and she came to a stile, and the pig wouldn’t go over the stile. So she told her little dog to bite the pig, and he wouldn’t. And the little old woman gave the rat a piece of cheese. So the rat began to gnaw the rope, and the rope began to hang the butcher, and the butcher began to kill the ox, and the ox began to drink the water, and the water began to quench the fire, and the fire began to burn the stick, and the stick began to beat the dog, and the dog began to bite the pig, and the pig began to jump over the stile, and the little old woman got home that night. 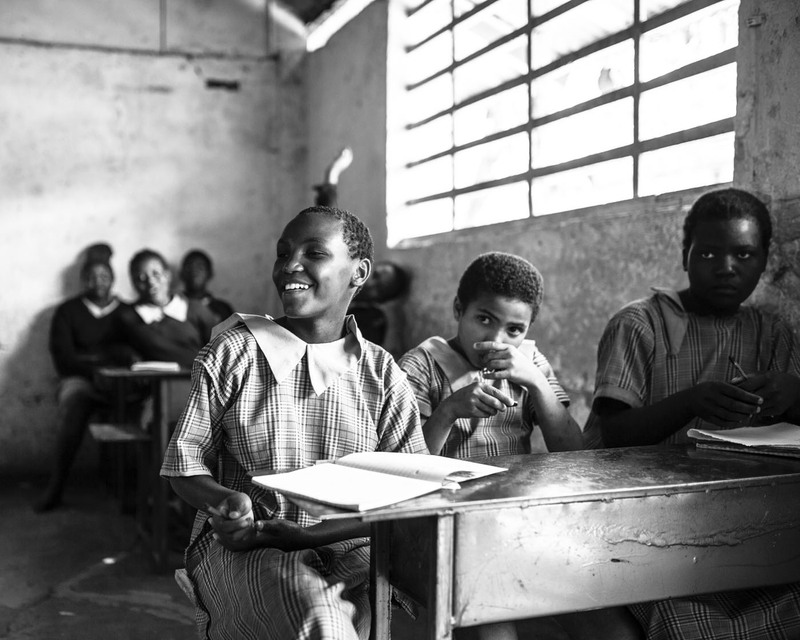 It’s a fun story, but what does it have to do with Africa or missions? Frankly, a lot. The preceding story is a lot like trying to get things done in Africa. You try to get something done, but there’s always someone waiting for someone else to do something first, who in turn is waiting for someone to do something else, and by the time you get to the end of the line, whatever it is you are trying to do never gets done. This finally gets to the rat, who had to be paid a bribe to do what rats normally do anyway, but that’s a subject for another blog post. There are certain cultural things that need to be understood before we rush to judgement about why this is the way it is. Africans value family and time building relationships far more than cracking the whip and getting things done. There is nothing wrong with this, up to a point. We on the other hand, especially in New York where I’m from, value getting things done more than family or relationships, and many times are willing to sacrifice the latter for the former. This is not ok. The other thing to understand is that many times the things we think are important to get done are not important to them. Just because westerners thought of it doesn’t make it better, and many times they see problems with what we’re trying to do that we don’t see. That’s why we go to Africa to learn as much as we go to teach. We help each other through our respective brokenness. There are times, though, when we’re asked for help on a specific issue, and things just need to get done. Often there are volunteers who have donated their time and resources on this end of things who are waiting for something from the receiving end so they can do what they’ve been asked to do. Often these volunteers don’t understand the way things are done in the non-western world. Both those asking for help and the volunteer’s time needs to be valued. This way mutual respect can be shown to all parties, and the things that really need to get done can be finished. The thing I’d like to see come out of the relationships we’ve built in Africa, and I say this with the utmost respect for all parties, is for many of the Africans to learn to be stewards with resources, and for the westerners to be better stewards with people and relationships. This way we can all grow. She couldn’t get that pig to jump over the stile. 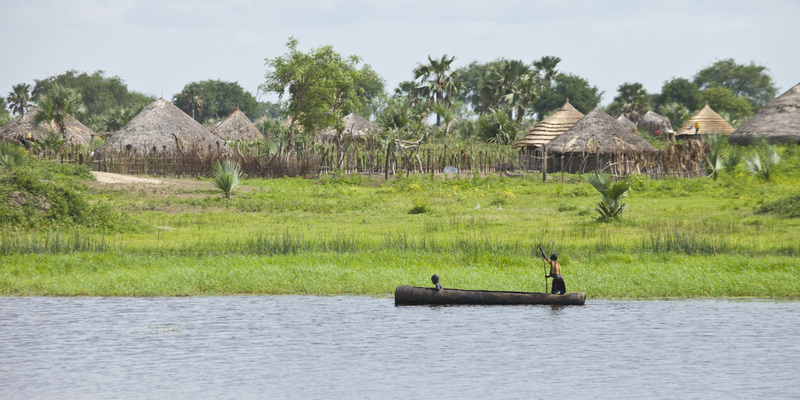 This is my 100th blog post on South Sudan Traveler, and what better way to celebrate it than with some of my favorite pictures of all time. 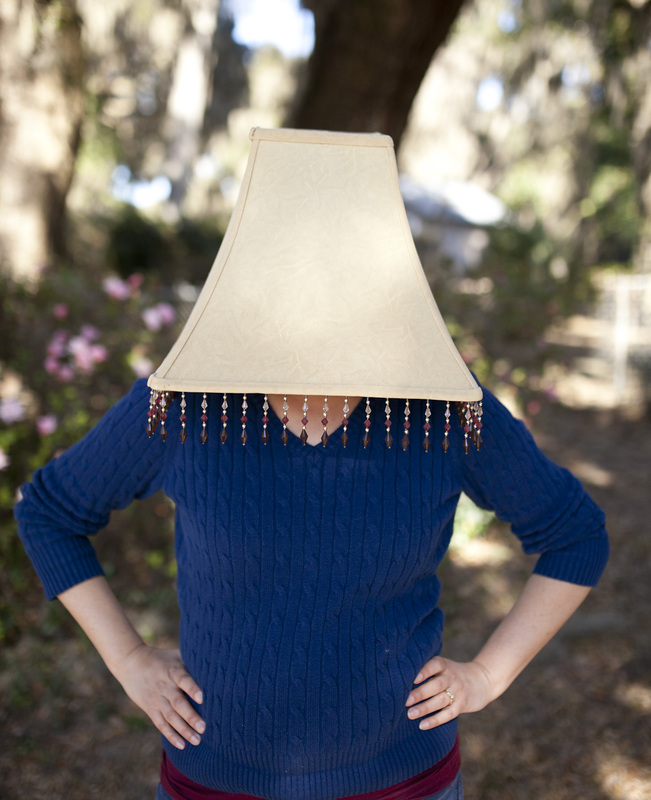 Some you’ve seen in previous blog posts, but many others are brand new (at least to you). 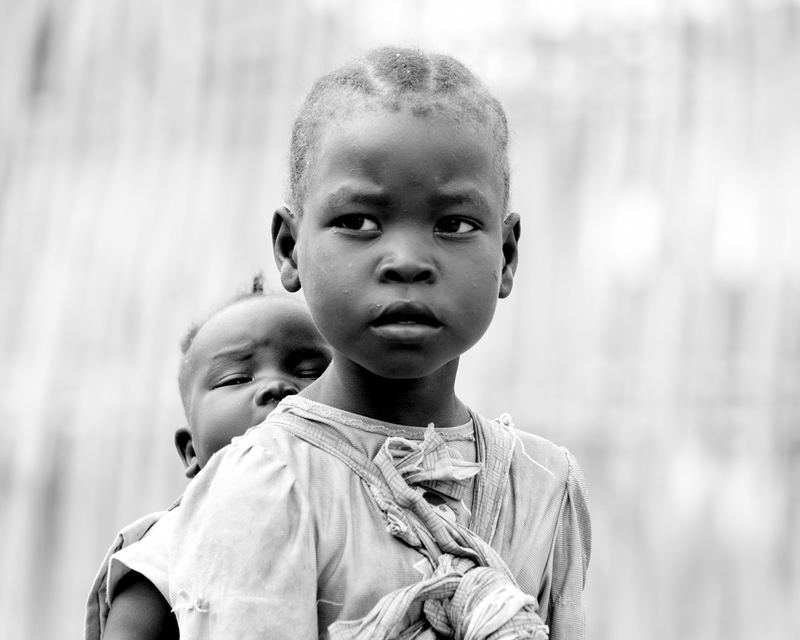 I think back to my first time going to South Sudan back in 2010, before it was its own country. I think back to how green I was, but fully aware that I am simply a different shade of green now. My perspectives have changed since that time, but thankfully I have the pictures to document how those perspectives changed. So please enjoy Africa as I’ve seen it over the last five years, from South Sudan to Kenya to Ethiopia. Soon I will have even more. All pictures can be clicked on for a bit larger view. Also, I am beginning to work on a book that will feature the unexpurgated version of Africa you don’t see in the brochure. More on that later. 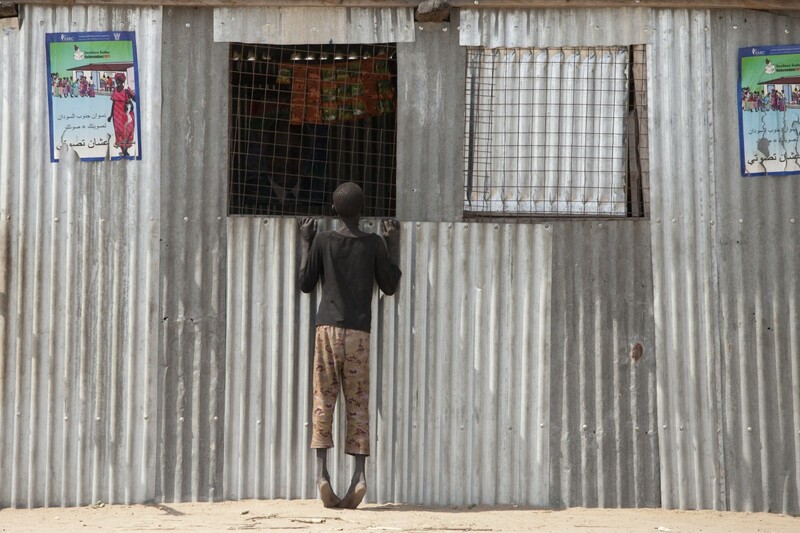 A boy looks in the window of a polling place shortly before independence in South Sudan. A South Sudanese pastor weeps in prayer as he prays that God would make him in private the man he claims to be in public. 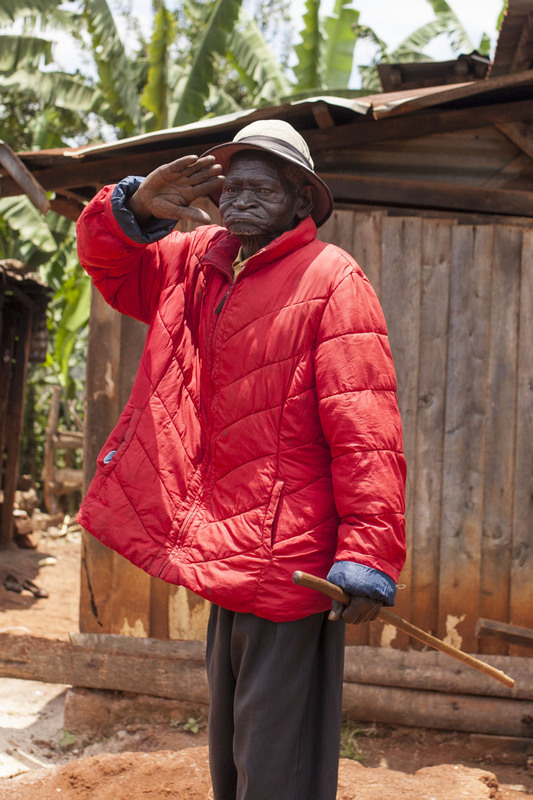 Linus, our sponsor child’s grandfather, gives his respect as we leave. 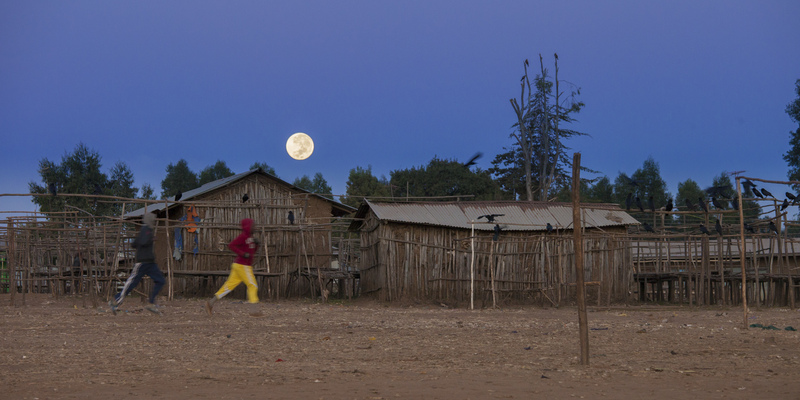 The moon setting as dawn approaches in Ethiopia. praying for a sick child. 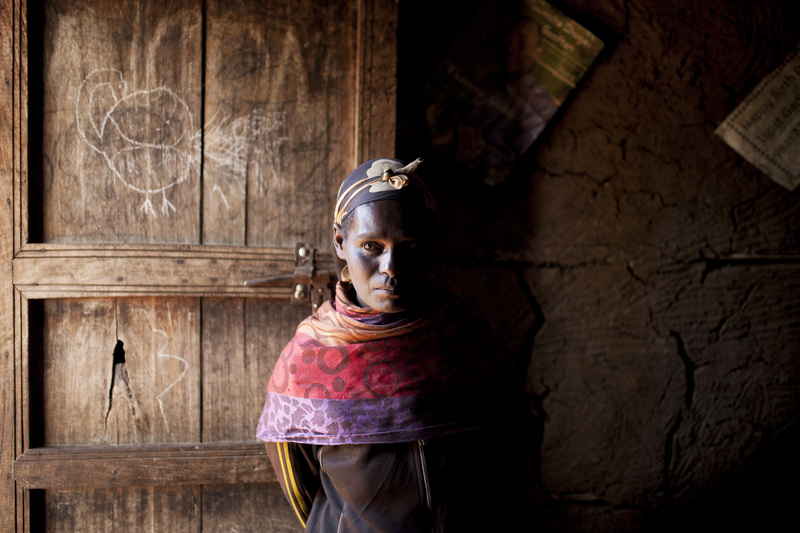 Visiting an Ethiopian widow in her home. 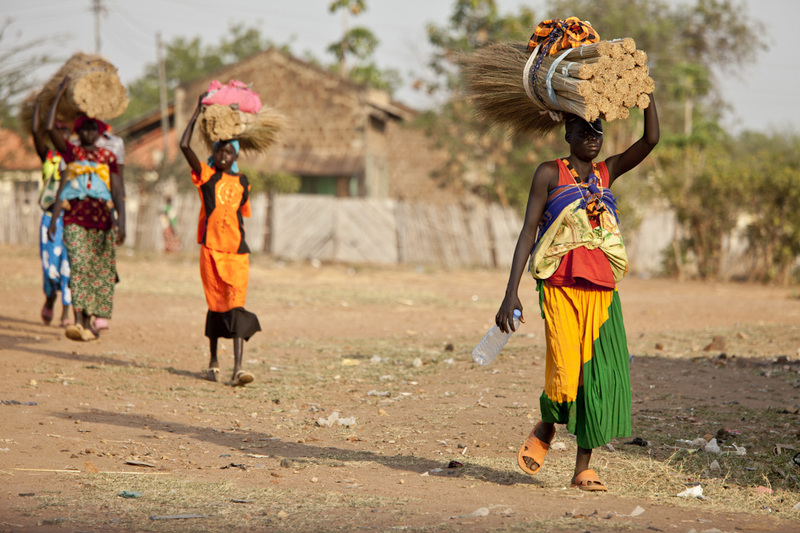 Women carrying thatch for a new roof in Torit, South Sudan. 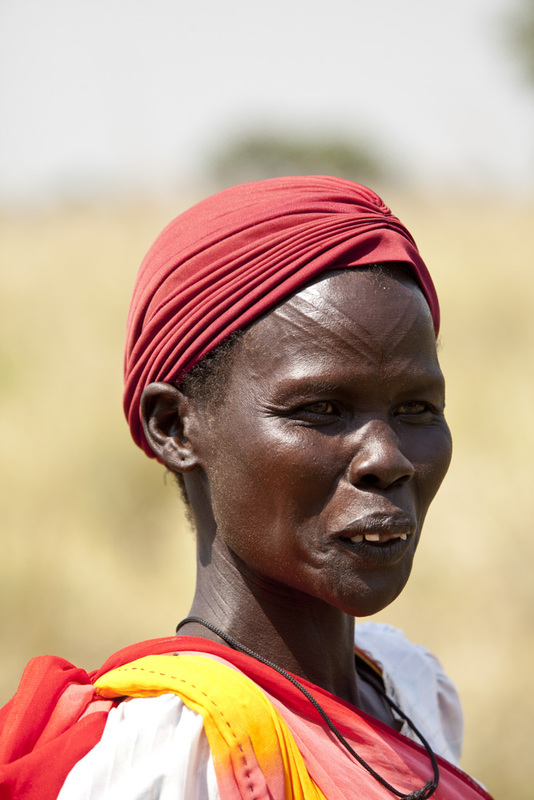 The beautiful Tabitha, who was tragically killed last year in South Sudan. We miss her. 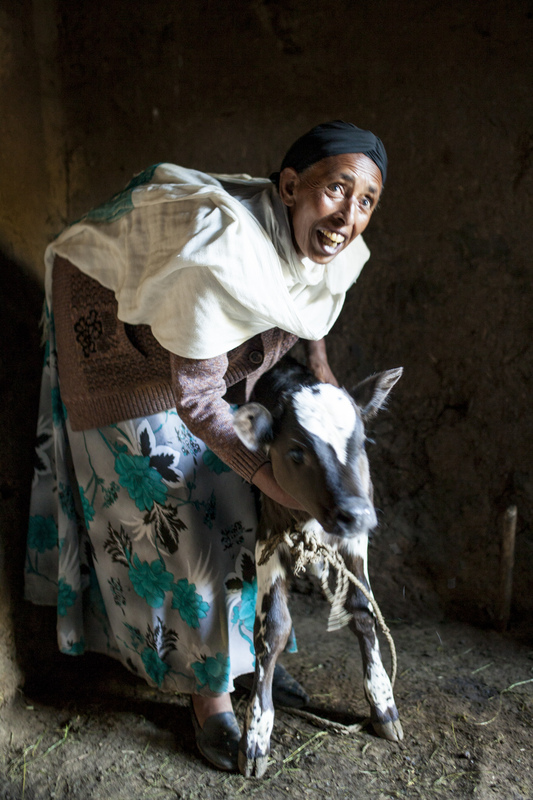 The Ethiopian widow with her new calf. 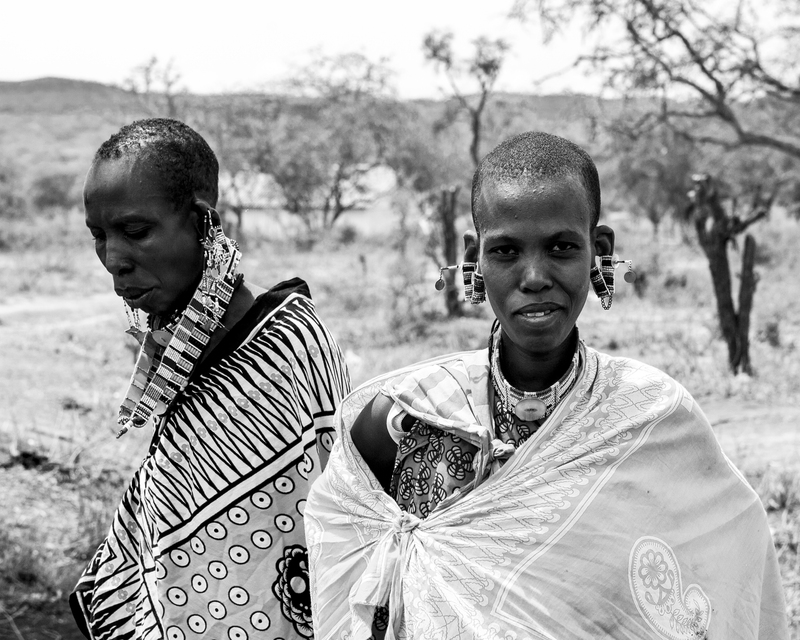 Two Maasai women near Bisil, Kenya. The first time I saw Africa was not looking out the window as I flew into Nairobi. It wasn’t when I got off the plane in Jomo Kenyatta Airport late in the evening to the cool air and the smell of charcoal smoke. It wasn’t the next morning waking to the cawing of the large ibises that are ubiquitous to Kenya. 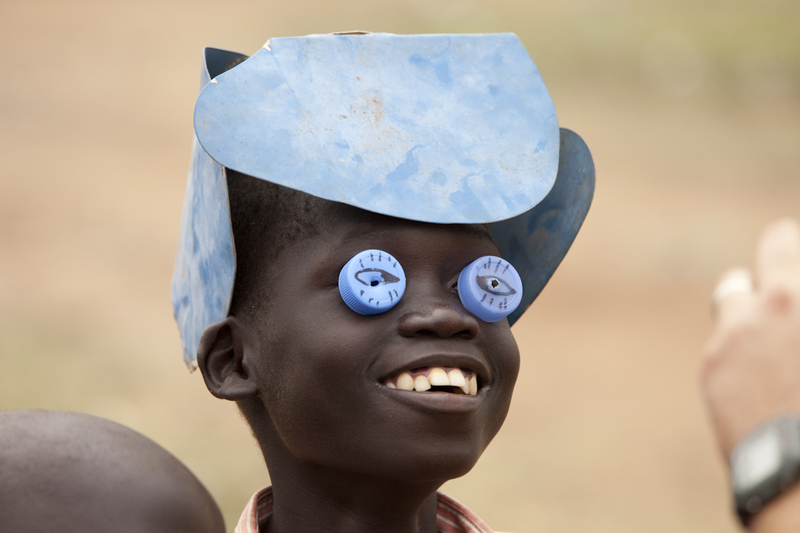 It wasn’t even the next day when I stepped off the next plane into the suffocating heat of Juba, South Sudan. The first time I saw Africa was several days later. I believe this to be the case as much today as it was in 1899. People like the idea of seeing another culture, but would rather do it as one looks at fish in a bowl. This is why cruises are so popular. Go to a new place every day, take the sanitized, expurgated tour designed to solidify preconceptions and stereotypes you came with, and at the end of the day be safely back within the insular confines of familiar comforts. This is why the first time I saw Africa was several days after I got there. It was when everything familiar was left behind that I really saw Africa, and it was a day I will never forget. It was the day that I realized this was not a one time event, but something that was to become part of me. It was the day it occurred to me (because it hadn’t yet) that I would be back many times. 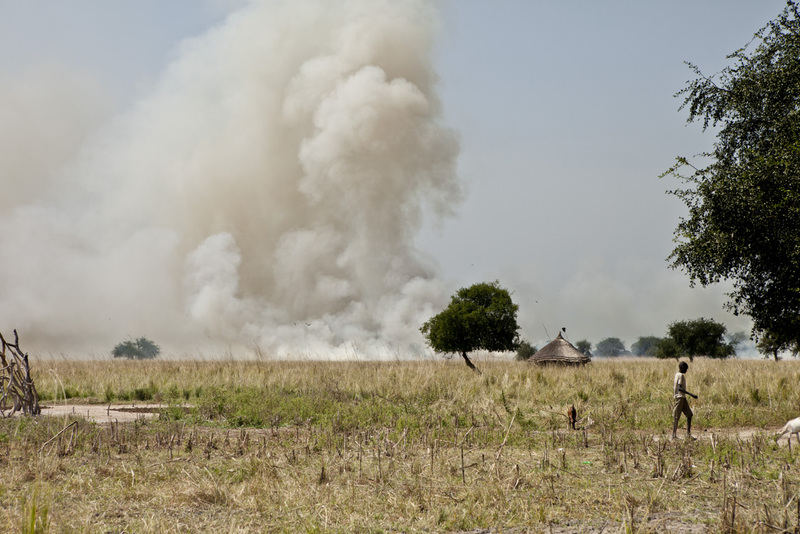 The day I’m referring to was about my fourth day in South Sudan. We originally had no plans to go where we ended up going, but the pastor we were there to visit arranged for us to go and visit his home village, about a three hour off-road drive from Bor, where we were staying. That day I saw things I never imagined I would see. The cattle herders herding cattle with horns so immense it’s hard to imagine how something could carry something that large. 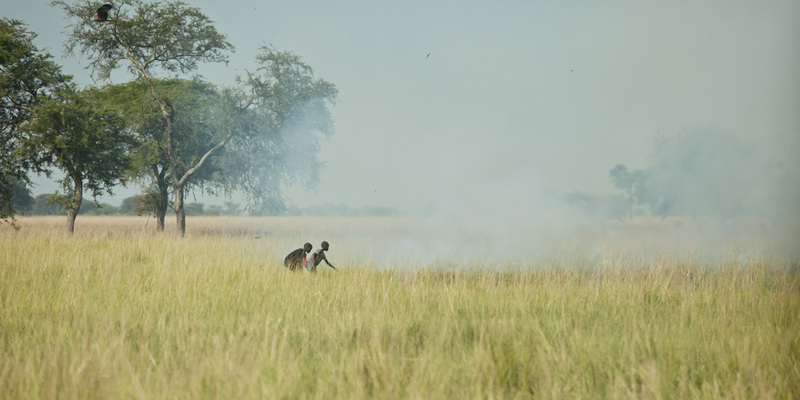 The grass fires rolling across the plains, set by people deliberately to renew the land with fresh grass for the next season. We met the chief of the village of Liliir, a man with three wives, seventeen children, and I’m not sure how many grandchildren. He had been the chief of this village of 60,000 for fifty years, and ruled not with an iron fist, but with wisdom and respect. 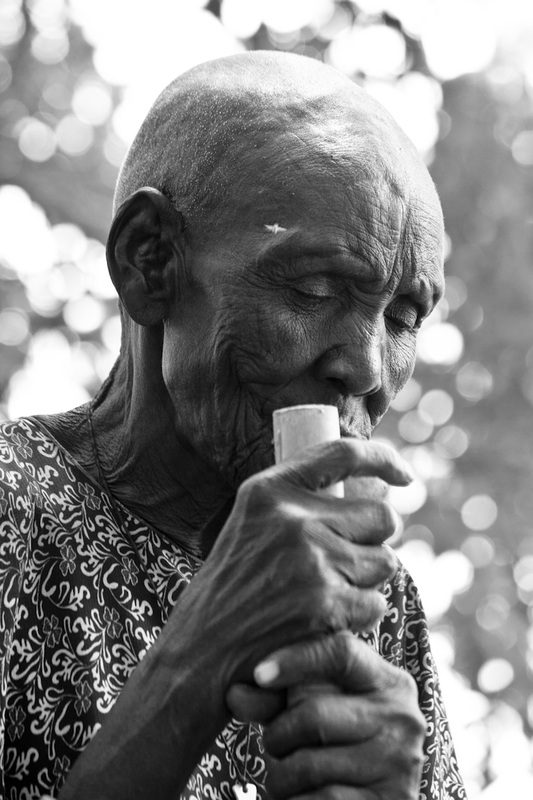 I met a man who was 110 years old that day, and who could remember when the British colonialists came. 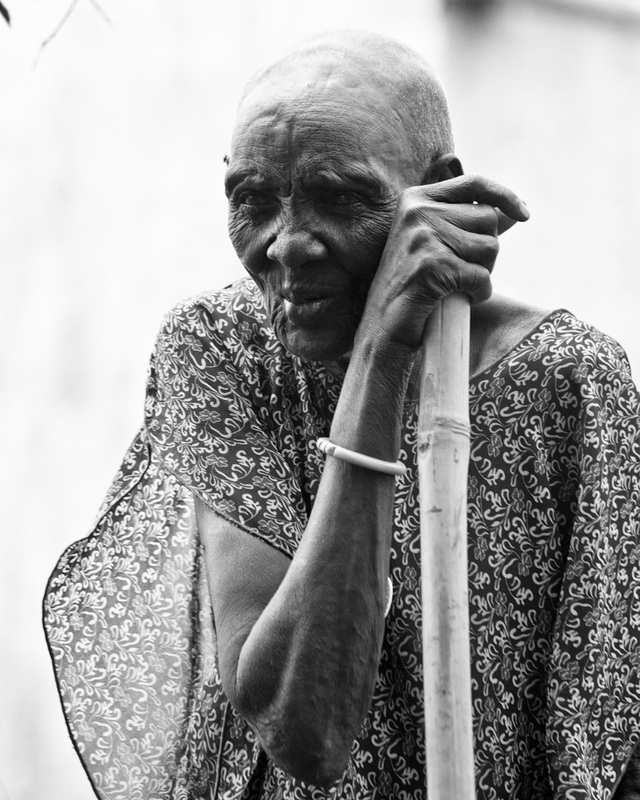 His wife was much younger, and when I asked to take her picture, she hurried into her hut to put her best clothes on. 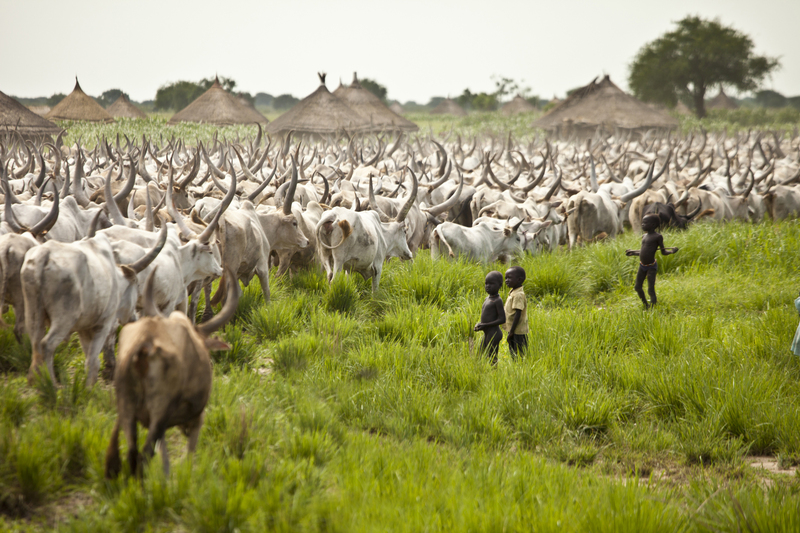 As we traveled back that day, by chance we came across a gathering of two cattle camps. 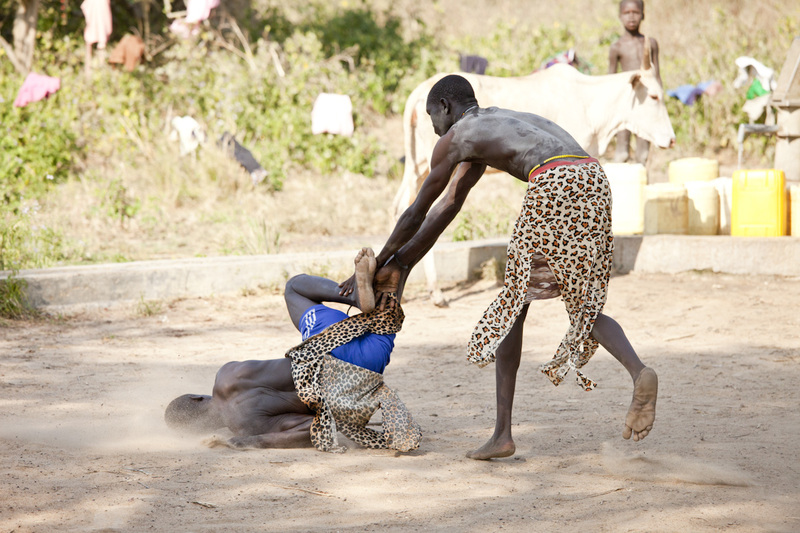 They were there for South Sudan’s favorite sport, wrestling. We asked the driver if we could stop and watch, and the cattle camp got the first foreign audience they had probably ever seen. It was absolutely amazing. That was the day I became immersed in the culture; where all the familiar was left behind and I was able to experience Africa as part of Africa, and not through the glass. It was a turning point for me, when the foreign became not so foreign, and my worldview changed. It was the reason I write this blog today, and the reason I’m going back to Africa in less than two months. 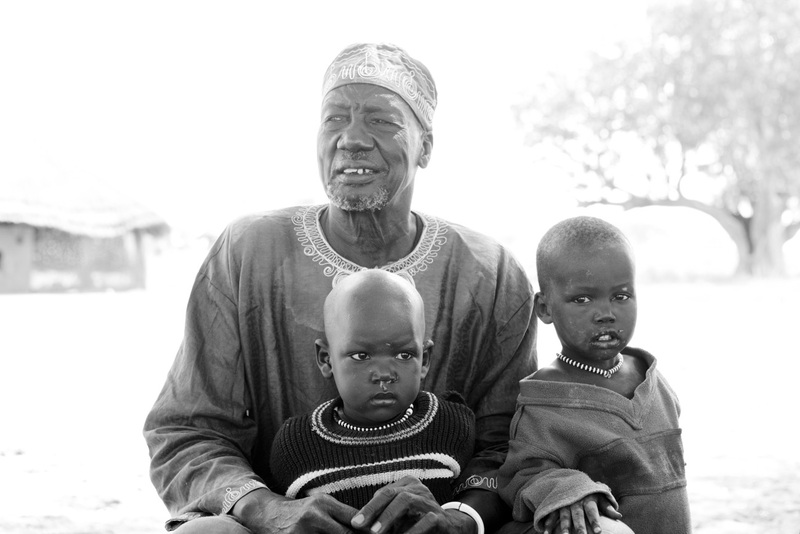 The chief with one of his children and one of his grandchildren. 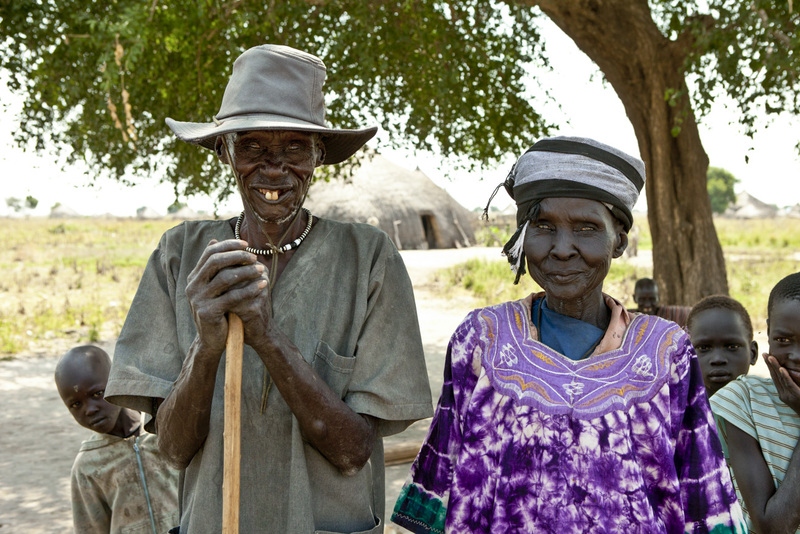 Khalei, 110 years old with his much younger wife. The children gathered to watch wrestling. One of the more painful moments during wrestling. The elders gathered for the meeting with the chief. 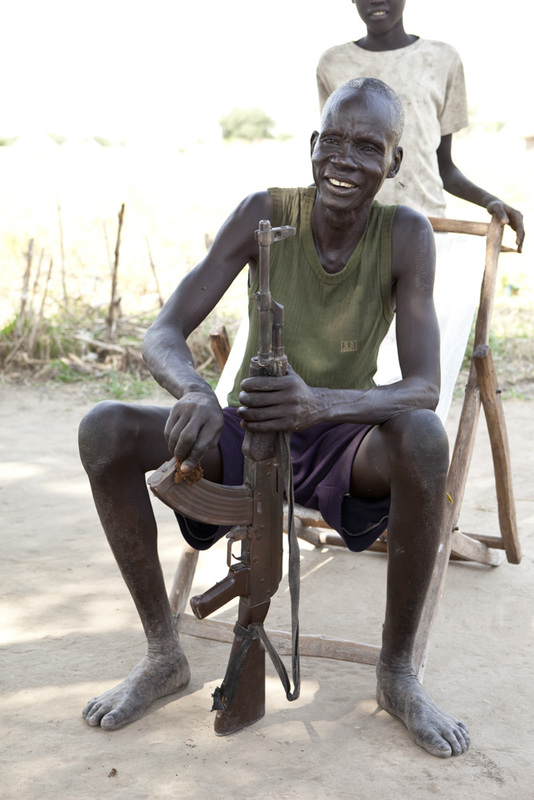 A man in the village cleaning his prized but very old Kalashnikov. A beautiful woman with tribal scarification. I met James on my last trip to Kenya in September. He has an incredible heart for lost kids; kids estranged from their parents, kids in prison, kids estranged from God. He used to have his own television show in Kenya, but gave that up when he was presented with the ultimatum to either give up his show or give up ministering to lost kids. Here we might say we work on a shoestring budget. 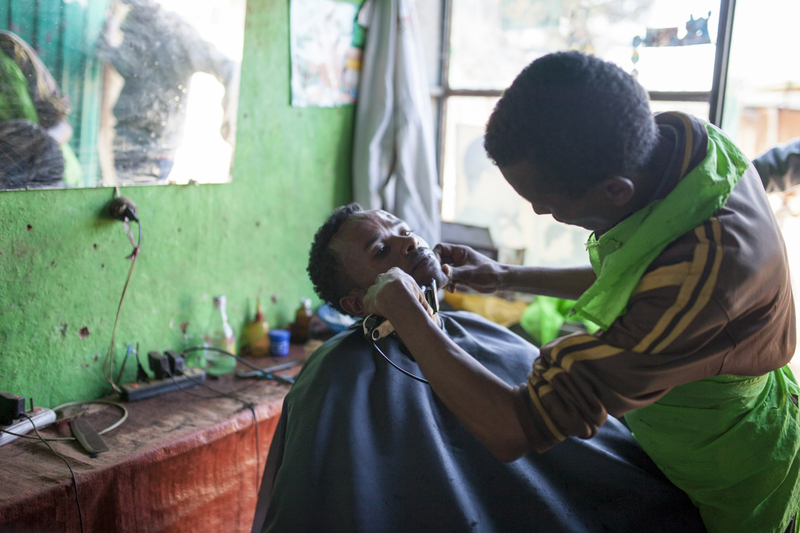 Jimmy has no permanent employment, and his budget is whatever God gives him through faith. This week James wrote about one of his recent trips, and his message really spoke to me, and it goes right with the spirit of this blog. When God spoke to Moses from the burning bush, he asked him, “What is in your hand?” Moses had a staff, and God used it in amazing ways. In James’s hand are two sewing needles, a ball of string, a bible, and a pile of buttons. Here is James’s message from this week. As I prepare to leave for ministry with our girls, I keep thinking about my trip to Baragoi. That trip changed my life, the way I look at ministry and my personal plans. It was the best way to conclude a fruitful year of ministry in 2014. I wake up everyday with the intention of bringing a smile to the faces of the children and young people we minister to and mentor. The recipients of our programmes are children who need a lot of encouragement and opportunities. I used to have a list of people and a grand plan of how I wanted to get them involved. Going to Baragoi had not been in my plans, in fact I had prepared to attend two weddings in our church. Yet when I heard about the trip, my mind was set and made up. I have done so many things on a zero budget. 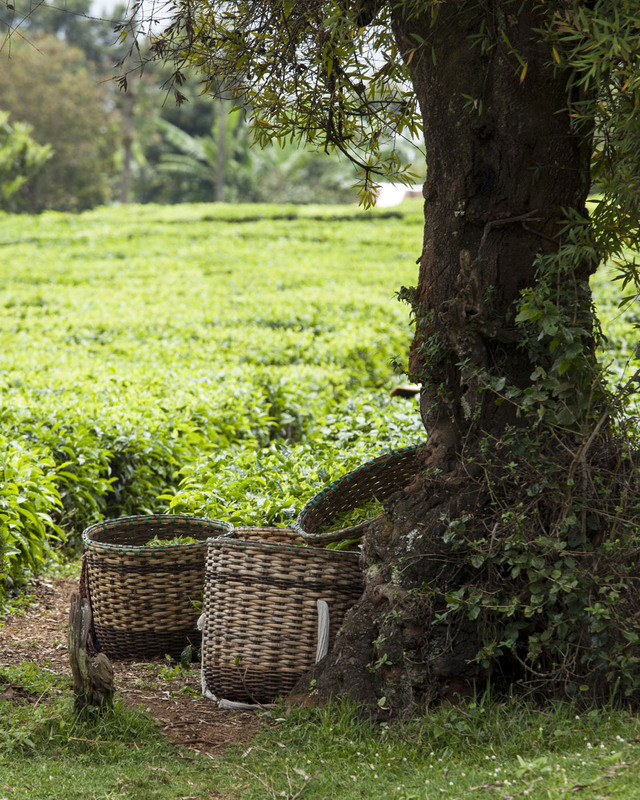 But going to Baragoi was the first time I wasn’t going to worry about provision because everything was provided. I left home with my Bible, a pair of scissors, hundreds of buttons, two balls of thread and two sewing needles. These were the tools I was going to use while ministering to children in Baragoi. As our journey progressed, I kept asking, “Are we there yet?” Two days after leaving Nairobi I was asked to share the Word of God at the Full Gospel Church and so began my ministry. By the time we were leaving, I had run out of sewing thread and buttons. I also, reluctantly, parted ways with one of my needles after one of the mothers asked for it. On our way back to Nairobi, God shown me how He can grow my network. Like I said before, I used to have a list of people I would like to have in my network. I still do. But after Baragoi, I have surrendered and have entrusted God with building my network. Perhaps you are a young person who desires to be used by God and your worry is provision and not knowing the right people. Or maybe you are worried about not being qualified or ready. Let me tell you something. God wants to use you – right now and right where you are – with what you have available. I met a young woman who is now rubbing shoulders with doctors, lecturers and even politicians simply because she is willing to travel to places like Turkana, Samburu and the rest of Kenya just to deworm children and talk about nutrition. I don’t know about you or what you are waiting for. Sign up for mission and outreach in your church, campus or let us know if you are looking for mission and outreach opportunities. Venture out and help reach out to a person that needs your smile, hug and time. Your life will never be the same again. James teaching girls at a reform school about the value they have in God’s eyes. Last time I was in Kenya, I was in a car with my wife and two of the Kenyans who are our good friends. As we neared the edge of Kibera, Africa’s largest slum, our car was stopped by two men who had placed a large rock in the road. Their “business” if you will, was to put a rock in the road and demand money from people as they drove by before they would remove it. What they got instead was a stern talking to from Jimmy, who had given up a fairly comfortable life to live in the slum. I have to admit, I’m quite angry right now. One of our friends from the United States is currently helping Jimmy in Kibera. There is a small library there, and it’s not much to look at, but it gives kids who would normally be abandoned during the day a place to go. Outside the library is a festering cesspool of human waste that runs between the library and the next building. Yesterday Jimmy, our American friend, and a group of willing people built a platform over that gully, not just to cover the filth, but to create a small area for kids to sell goods so they can support themselves. On the first day, the children took in about $30, which is quite an accomplishment considering most people live here on $2 a day. It gave the kids a way to learn initiative and self-respect, and keep them from selling drugs. Over night, some people came and destroyed the bridge they had built, for no other reason than misery loves company. This is the incredible difficulty in poverty alleviation. I’ve seen this happen in Kenya. I’ve seen this happen in South Sudan. I’ve seen this happen on the Indian Reservations in the United States. The attitude is, “I’m Ok with misery and lack as long as you have misery and lack, too.” Confucius said, “Before you embark on a journey of revenge, dig two graves.” The same can be said for envy. You can’t sabotage someone else’s work and expect that the same is not going to happen to you. That in a nutshell is why Kibera still exists. The unfortunate and politically incorrect truth is that no rich man is needed to hold down the poor. Given the opportunity, the poor man will do it himself. This is why it is impossible to separate the spiritual from poverty alleviation. Poverty is rarely just a lack of resources. It may start as a lack of resources, but quickly turns into poverty of spirit. That’s why it is so hard to lift a community from poverty once they’re there. This is the fundamental flaw in western understanding of poverty. A couple months ago, I was watching the news. Some member of a European royal family (which one I don’t remember) was in Africa with a large entourage and a film crew and reporters. This royal was touring a village and looking around at the poverty. He was interviewed by one of the reporters, and asked what he thought should be done. The royal responded, “They just need resources. They’re not getting the resources they need.” All I could do was sit and shake my head. It wasn’t the resources that were the problem, it was the poverty of spirit that keeps people poor even when the resources are there. You can give a man in the slums fifty dollars, and for some rare individuals he’ll take it and start a business. But more likely than that is that he’ll take it and get drunk, then come home and beat his wife. This is the harsh reality of the slum. That’s why Kibera has been there for over 100 years. This member of the royal family’s heart was in the right place, but the understanding is not there. He’ll go back to Downton Abbey, and probably raise a bunch of money that will be sent back to this community. In ten years, there will be no sign that he was ever there. What the slums need is people who are committed for the long haul. People who realize that change comes slowly, one person at a time, through personal sacrifice. What the slums need is leadership from within, not the white man to come from outside and fix all the black man’s problems. 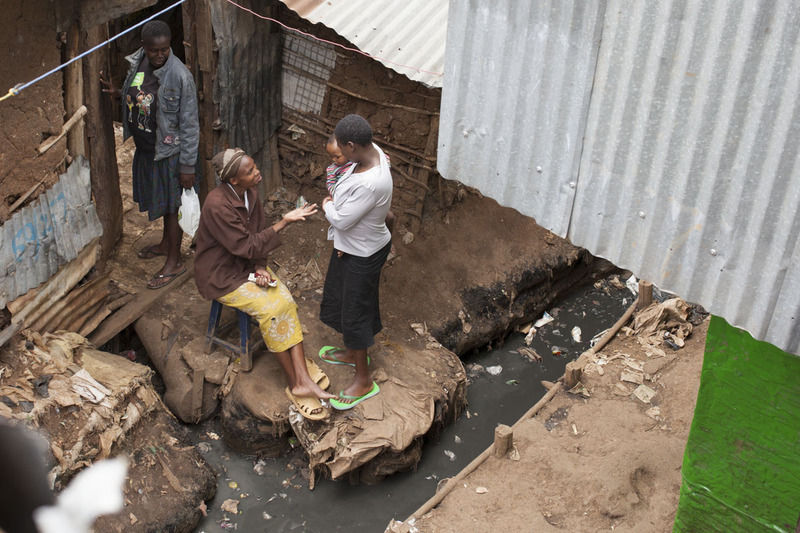 The slums need partners who will identify and empower the people and the human resources that already exist there. The slums need Godly men and women who are willing to sacrifice personally so that others won’t have to, and to be examples to people who wish ill to anyone who wants the slum to become a better place. This is all a lot harder than throwing money at the slum. I wish I could convey this concept to anyone who hasn’t been to Africa, but unfortunately, no one can be told what the Matrix is. After my first trip to Africa, I knew in my knower that you could throw all of the worlds financial resources at Africa, and if that’s all that was done it would bankrupt the whole world. If you’ve ever thought about traveling and seeing the world, I want to encourage you in the strongest possible way, to go and see the developing world. Go the the slums. Go see what most of the world lives like. It will give you an understanding of the world, and an understanding of yourself that you didn’t even know you lacked. For now, all I can do is pray for our friends in Kibera that they will have the fortitude to start over. I will also pray for those that put rocks in the road and destroy other people’s work, that God will break through to them and show them that all they’ve done is hurt their own communities and themselves. I’ll pray for those that think that tearing someone else down somehow lifts them up. But tonight I’m just sad and angry. A view of the sewage ditch from the library in Kibera. I’m not even sure where to start today, and I’m going to apologize in advance for what may seem a disjointed blog. I am attempting to take many seemingly unrelated events and bring them together. A year ago, I was just leaving for South Sudan. Little did I know at that time that a series of events would transpire that would touch so many lives. 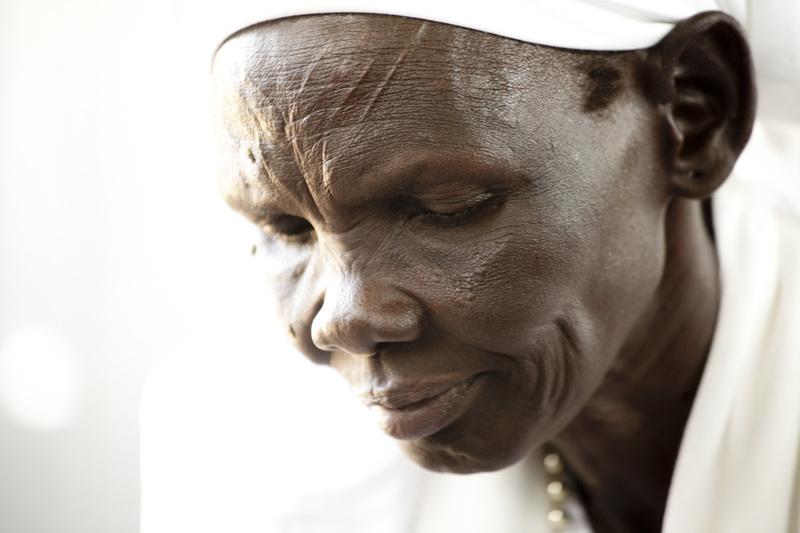 My fourth trip to South Sudan set off one of the most difficult times of my life. I’m not going to get into the details of it, but after coming back, I found myself, along with two other couples who had traveled with me, in the impossible situation of being rendered completely ineffective in our ministry. The option was always there to stay where we were, to remain in effect comfortable and useless. We chose not to do that though, and shortly thereafter we were in a brand new church, with vision for what might be, but with no tools in our hands. Let’s move across the world to Kenya around 1992, where a boy named Jimmy had just watched his sister die of starvation in his mother’s arms. That event caused his mother to go and find help for the family….any help. She found Compassion International, and was able to get Jimmy sponsored by a twenty year old man who was a new Christian. 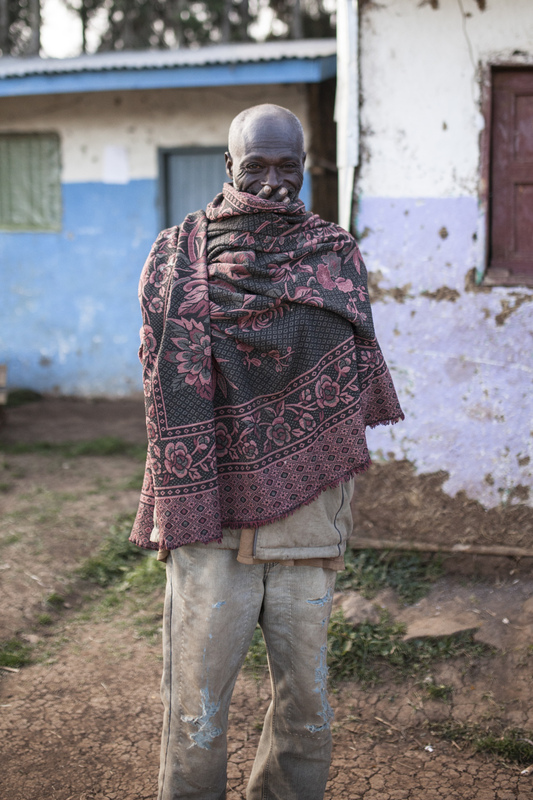 His sponsorship made it possible for Jimmy to have enough food and to get an education, which eventually led him to a college education at Moody Bible Institute in Chicago. Realizing by that age what that sponsorship had meant in his own life, he decided to stand in the gap and sponsored a child in Haiti so that that child wouldn’t have to go through the same thing he did. 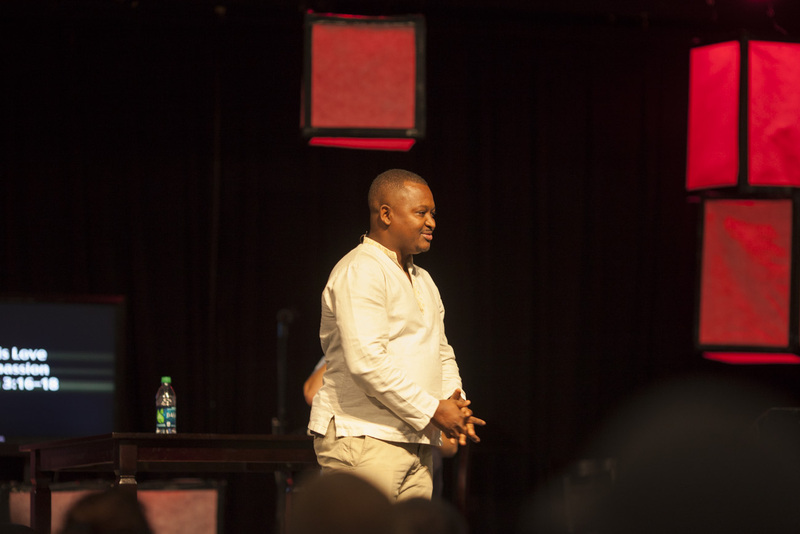 His experience with Compassion International also brought him to a conference called Catalyst in 2009, where he told of his experiences, and then, to his surprise, to meet the man who had sponsored him all those years. I have a link below to the video of that event. I will warn you. Have tissues ready if you’re going to watch it. It’s one of the most moving things I’ve ever seen. Two thousand more children were sponsored that night. Let’s move to summer of 2014, where one of the couples who moved churches with us was at an arts conference in Atlanta. They met another Kenyan there named Njenga who was also promoting Compassion International. This couple had a heart to do missions in Kenya, specifically the slums of Kibera, which is one of the most difficult places I’ve been. So they asked Njenga who they should talk to about getting into Kibera, and he connected them with Jimmy. Our friends wanted to introduce their two teenage boys to missions, so they planned a trip to Kenya. There they met with Jimmy, who took them into the slums of Kibera and showed them that even though lots of organizations say they have a presence in Kibera, most come and take a look at what is happening once a year and other than that have no actual presence there. Jimmy chose to live in the slum for four months even though he didn’t have to, and spent that time looking for who was being faithful with the little they had. He found that parents would leave for the entire day to go and find help or to go work, and their children were either completely unattended or left in what I hesitate to call a daycare, where they were not held or attended to. So he searched for people in the slum who had a heart for the children. One day, he made an unscheduled stop at a place that was not on his list. Jimmy walked into a daycare run by a pastor named Obedi and his wife. As Jimmy walked through the door, Obedi had one small child in each arm and was praying over both of them. He knew at this point that this was the man he needed to work with. He was loving on those children, and being faithful before anyone showed up, before anyone had offered him a dime. Four weeks after our friends visited Kenya, I had the chance to meet Njenga and Jimmy and Obedi in Nairobi. I always have a full schedule in September, but this year I didn’t, so I figured God was telling me it was time to take a trip. I had planned a trip with my wife for our twentieth anniversary. So I asked her where she wanted to go. We could have gone anywhere. But despite the fact that she had never left the North American continent, she said she wanted to go to Kenya. I’m still not sure how that answer came about. So here is where it all comes together. Jimmy is getting married next week in the United States. He was able to come to our church and speak to our congregation. 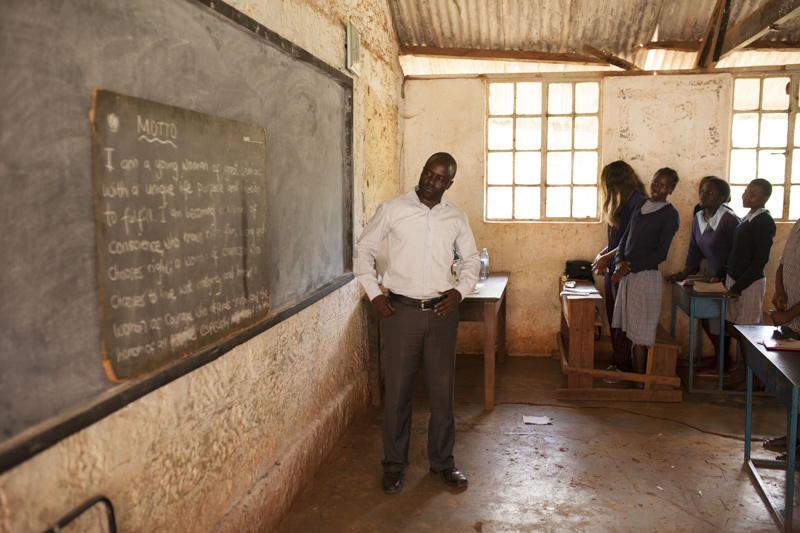 He’s spoken to 35 churches in the past, and none have offered to partner with him with his vision for children in the slums of Kenya. It so happened that my pastor and some of the staff were at Catalyst in 2009 and saw Jimmy speak, but until this week they didn’t know that he was the same man invited to come speak at our church. I watched today as a church came together in a single vision to advance God’s kingdom; to do what God said is holy and acceptable in his sight, to “help the widows and orphans in their distress.” I watched people put themselves aside, to offer themselves, their time, and their finances in an incredible way. He put the right people in the right place at the right time. Jimmy speaking at church this morning. Had that initial difficult situation not happened, or if our friends had chosen to just stay comfortable, this never would have happened. Had Jimmy’s sister not died and his mother went for help, this never would have happened. If Jimmy didn’t go to school in the United States, this never would have happened. There is now the chance to help literally thousands of people in places so poor, most Americans literally have no comprehension of it. Romans 8:28 says, “And we know that in all things God works for the good of those who love him, who have been called according to his purpose.” This is not just idle words. God took difficult and terrible situations and used them for His good and for our good. The first team will be going to Kenya in January of this coming year. 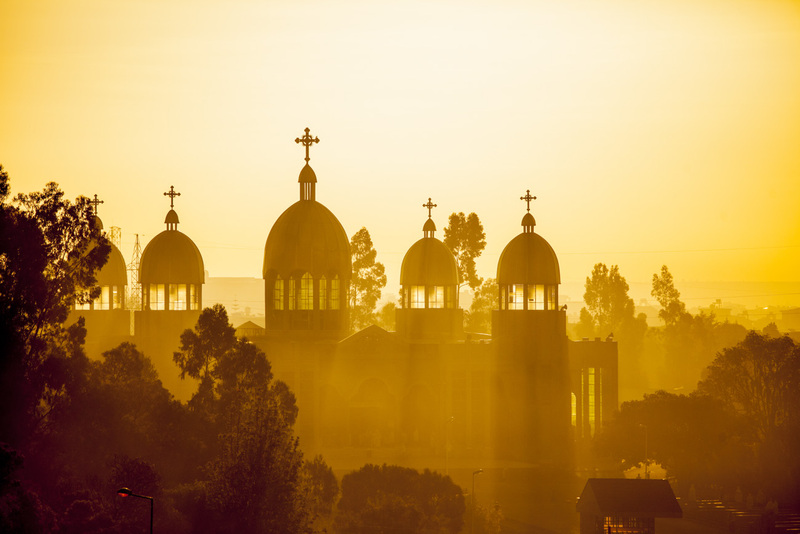 I leave for Ethiopia in two weeks. 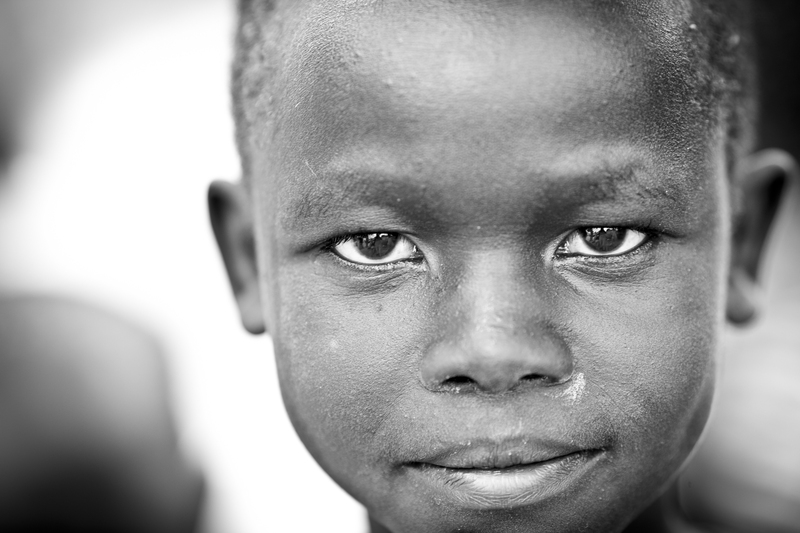 God took the work we were doing in South Sudan and is now expanding it to all of East Africa. To think, I wondered if my time doing missions work was over. I’ve heard the question asked, “what is God’s reward for faithfulness in doing His work”? The answer is more work, and I am great with that. I have not even begun to list the “coincidences” that brought all this together, or the ones I can’t talk about. I am certain that there are many others that I am unaware of. The point is, there are no coincidences with God. I have never been so excited to see what He is doing as I am now. The video below is eight minutes, but believe me, well worth it.